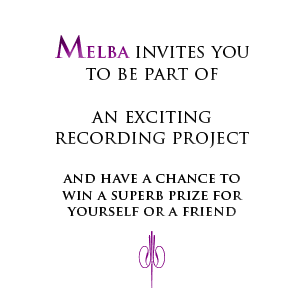 The Melba Foundation is conducting a major fundraising drive to support a series of recordings with the brilliant Benaud Trio, part of Melba’s important Emerging Artists Series. The Benaud trio is committed to championing Australian compositions. Their exciting debut recording will feature works by Matthew Hindson, Nicholas Buc, Ross Edwards and Paul Stanhope. The Benaud Trio will also record beloved masterpieces by Dvorak and Smetana alongside Nicholas Buc’s show-stopping arrangement of Queen’s Bohemian Rhapsody. 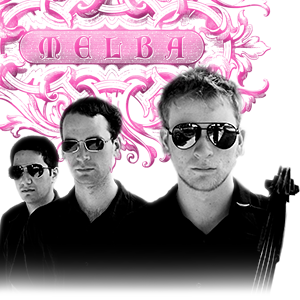 Melba Foundation Founder Maria Vandamme says: “The Benaud Trio is at the forefront of Melbourne’s explosion of chamber music development and combines the greatest commitment to performing excellence with joie de vivre and a steely determination to achieve greatness. As Australian composer Ross Edwards says, 'The Benaud Trio is just what Australian music needs – excellence combined with youthful vitality and a dedication to showcasing the new and refreshing the old.'" To raise funds for this important recording, we are raffling three stunning items, a pearl necklace, luxury luggage and a fine lithograph. We are grateful for the generosity of Paspaley Pearls, Louis Vuitton, artist Bill Robinson and the Philip Bacon Galleries, Brisbane. The raffle tickets are $50 each, and come in books of five. They will make wonderful Christmas presents for the special people in your life. The raffle will be drawn on 23 February 2012 at an exclusive cocktail party at Stonington.